Lisa, do you have any job openings in your company, I need a job, any job. I need to find work, I don't have a husband and I need to provide for my son. Marie, do you think anybody would still hire me? I am in my 50s now, but I can still work, I want to have something for myself. I want to save for my old age too. Sounds familiar? Anybody on the same boat? I know a lot of women can identify with it. Tons of tons of women are either working or looking for a job so they could provide for their family. Gone were the days when women are content to stay at home to wholly take care of family and home while depending solely on the income of their husbands. A majority of the women populace is on the mindset that a woman's role is not only to keep house for the husband and the children, but to provide for the financial needs of the family as well. Mommies took it a notch higher, they not only want to work to provide for the family, but they want to look after their kids personally while working. Is there something nobler than that? How can a Mother do that? Does she have the power to leap tall buildings in a single bound like Superman? Does she have the superpowers of our favorite superheroes? Nah! Moms are loving creatures who will do all in their power to protect their children and family and to give the best the world can offer their family. Mommies always see to the best interest of her brood foregoing even her own needs and even ambition. So how can an ordinary Momma work and still take care of her kids? The answer is home based jobs. Home-based workers as defined by Women in Informal Employment: Globalizing and Organizing Wiego are a) own-account workers and contributing family workers helping the own-account workers, involved in the production of goods and services in their own homes, for the market and b) workers carrying out work in their homes for remuneration resulting in a product or service as specified by the employer (s), irrespective of who provide the equipment, materials or other inputs used, and those contributing family workers helping such workers. In the Philippines, a young Mom took it upon herself to help other Mothers to have a job while staying at home to be able to take care of their children. Maria Korina Bertulfo is a young Momma who has a full-time job, but the balancing of having a job and a child finally took its toll on her. She tried working from home by applying for online jobs and successfully had one. She had achieved the balance, she needed in her life which is to be able to provide for her family without leaving her child behind. Not only that she is earning in dollars without leaving the country to work abroad. Talk about hitting two birds (3?) with one stone. All that has been possible by taking the risk of working from home. Maria did not stop there, she has an advocacy. Her advocacy is to help other Mommies to have a home-based job too. She formed a group on Facebook the Filipina Homebased Moms (FH Moms). FH Moms is the first and biggest parenting freelancing group for Filipino or Pinay moms in the Philippines. To date, it has more than 100,000 members. This community is dedicated to helping all Filipino Moms who want to work from home. It caters also to the needs of the freelance working Filipino Moms. What makes FH Moms community unique is that it is not just a melting pot for Filipino moms who are looking for home-based jobs, but this community is actually a training ground for would-be freelancers, active freelancers and even moms with a corporate job. There is no discrimination here, mommas who do not have any work experience at all are encouraged to join the group and learn the ropes of freelancing. Without shelling out a single centavo, any woman who has the guts and perseverance to have an online work can indeed land an online job. There is no age requirement nor specific educational attainment is required. In fact, the only requirement is that you are a Mother who wants to provide for her family without leaving home. What is the basic skill required? The basic skill required is the diligence in reading all the posts on the FH Moms' home page on Facebook. You can self study everything and if you have questions the whole community of the FH Moms is there to help you. Everything you need to have an online job is at the tips of your fingers. Even the Philippine government recognizes the need of Filipino workers to be able to work at home like their foreign counterparts all over the world. Last December 20, 2018, President Rodolfo Duterte, signed the Telecommuting Act, but released to the public last January 10, 2019. The Telecommuting Act or Republic Act No. 11165 is institutionalized as an alternative work arrangement for employees in the private sector. This law allows employees in the private sector to work from home. So to all Mommas out there, it is possible to have a job and at the same time to be with your kids. 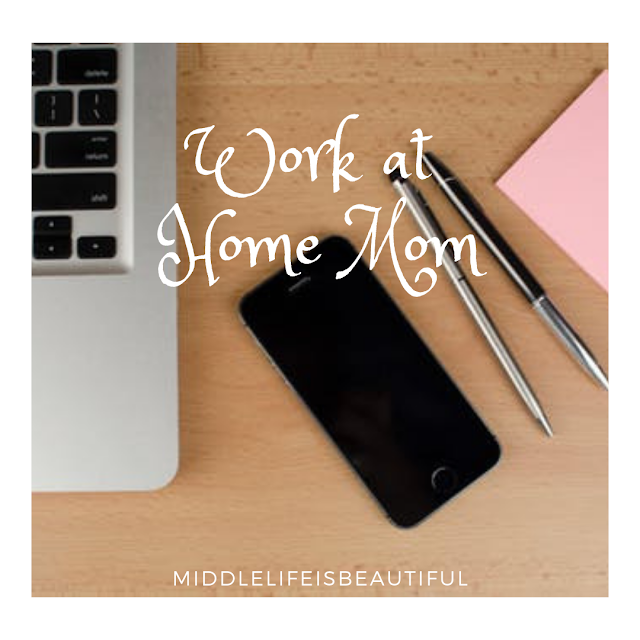 Be a work-at-home mom. You can have a job like other women with corporate careers the big differences are: A mom with a corporate job has to wake up in the wee hours of the morning to prepare herself and family for work and school. She spends a lot of time commuting to and fro from work. She has the daily battles of traffic to contend with. She has to spend on money fare and even clothes for work. She may not be able to attend all her children's activities in school or witness first hand the milestones in her baby's life. When her child gets sick, she has trouble asking for leave at work and so many other things that make a mom's life harder to bear. I am a mom in my 50s with a corporate job but I too applied for an online job. Why? You may ask. It is because I want to live my life to the fullest. I want to challenge myself and do things I haven't done before. I want to explore the other half of life. I don't want to live in a box, dictated on what to do, what to think, and how to act as considered a norm of society. This does not mean that I will throw caution into the wind, but I want to act on my dreams too. At present, aside from keeping my day job, which is something I really have a passion for, I also created a blog Middle Life is Beautiful. It is about my journey to the midlife stage. Through Maria Korina Bertulfo's community, I was able to land my first online job as a Social Media Marketer. This job is far from different from my work as Cost Accountant. My blog and what I have learned from FH Moms has prepared me for this job. I am paid in dollars, something which I did not expect to happen because I am here in the Philippines. My online job has paved the way for me to earn in dollars even without leaving the country. I was an Overseas Filipino Worker (OFW) before and I knew firsthand the hardships a mother experienced while working abroad. It was the hardest thing I have ever done in my life, but I did it solely for my children. To all midlife women, trust me when I say, you can reinvent yourself at 50 and have a flourishing career with your family beside you.